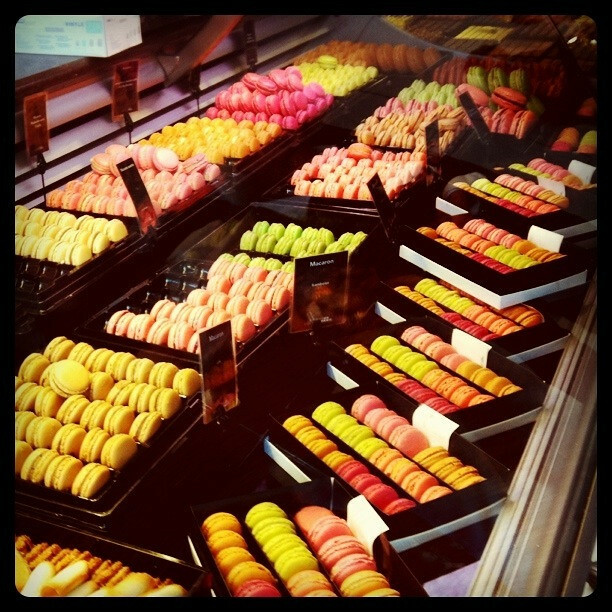 As much as I would like to, I can’t really fly away to Paris every time I feel an itch for a macaron. So I have to find somewhere to get them from that won’t require a plane ticket and a visa. And that’s where Bar Dolci comes in. 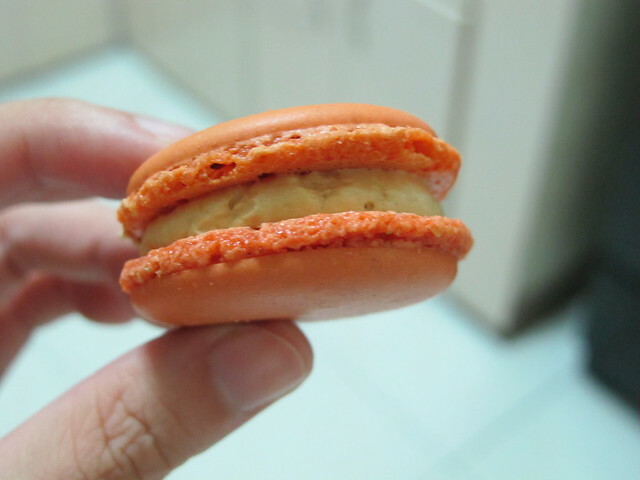 I’ve been reading a lot of good things about them since they’ve opened but have been reluctant to try their macarons. 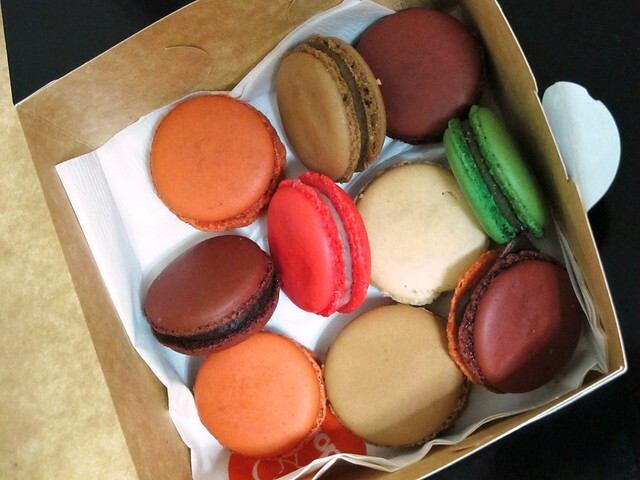 Not just theirs, actually, but macarons in Manila in general. Because, once you’ve had the best in the world, can you really have anything else?… Well it turns out, I can. Who am I kidding? If anything, my hankering for half-decent macarons has even made me more determined to find a suitable alternative here in Manila, if only to tide me over until I can get to Hong Kong or NYC. And so last night, since I was in the area anyway, I walked through the rain (yes, it’s a little sad how far I would for sweets) to get me some macarons. 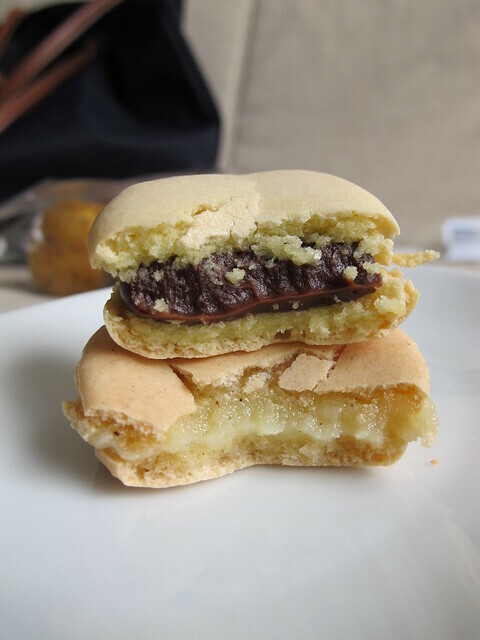 I’ve been burned by reviews before where a macaron is called the “best in Manila” and then turn out to be little round mounds of mushy cardboard (I’m not naming names), so I didn’t want to get my hopes up for Bar Dolci. Thank goodness, no mushy cardboard here. 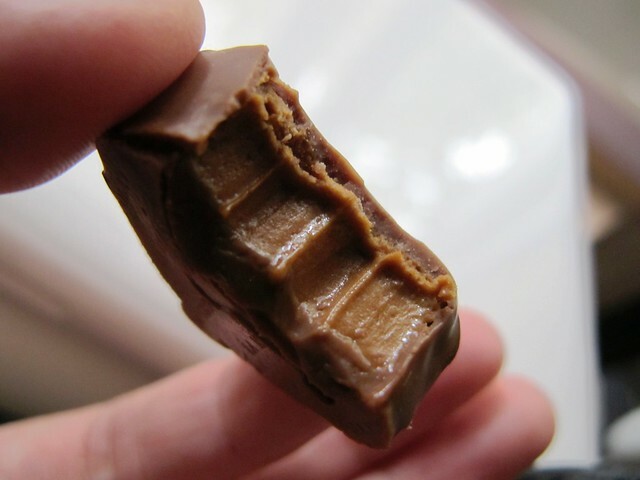 The biscuit is a little chewier than I would like, but I’m giving Bar Dolci a pass on that. At least it’s not dry as a pasencia biscuit (again, I’m not naming names). 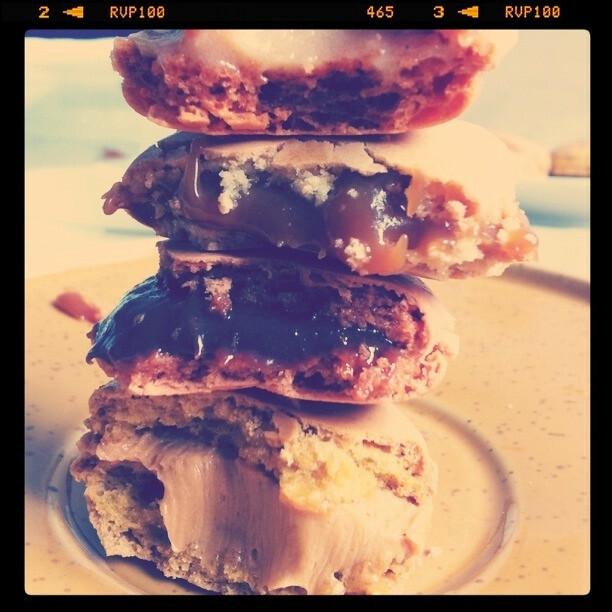 The texture of the cookie is tough enough to perfect, even in Paris. In Manila, there are altitude and humidity issues to deal with… so again, free pass. No free pass on the filling, though. 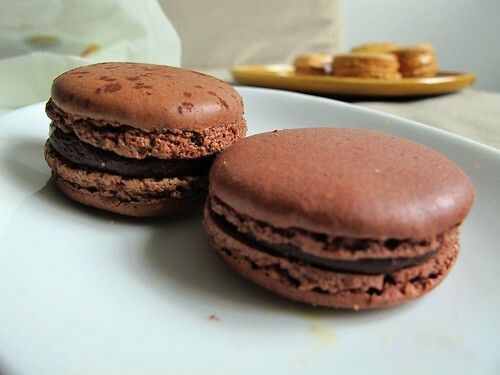 And for their chocolate macaron, Bar Dolci doesn’t need it. Rich, thick, dark and… well… almost perfect. Almost because I would prefer my chocolate darker, a little more bitter. 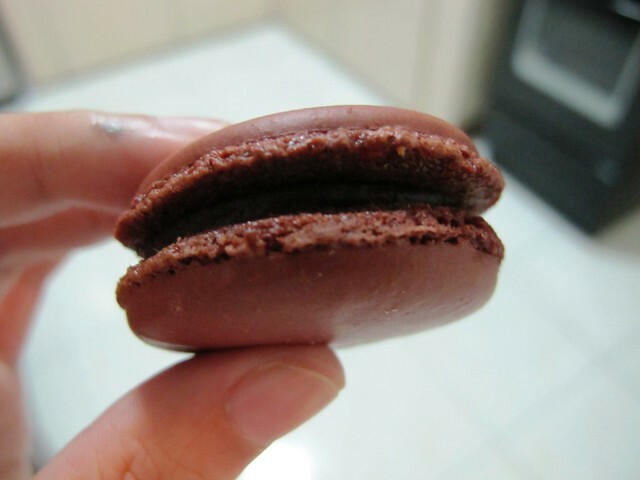 But other than that, I have to say Bar Dolci’s chocolate macaron is pretty top notch. And, finally, I’ve been able to do it. After battling with a cold (and an impaired sense of taste) during the first few days and getting in some preliminary taste tests (it’s a tough job but someone’s got to do it), it’s done. I’ve found the best macarons in Paris. Well, ok. I need to qualify this a little bit. As much as I would’ve loved to try every single macaron in the city and compare them all with each other, that’s obviously impossible. Every single patisserie worth mentioning, even your friendly neighborhood one, even McCafe for crying out loud, offers macarons. 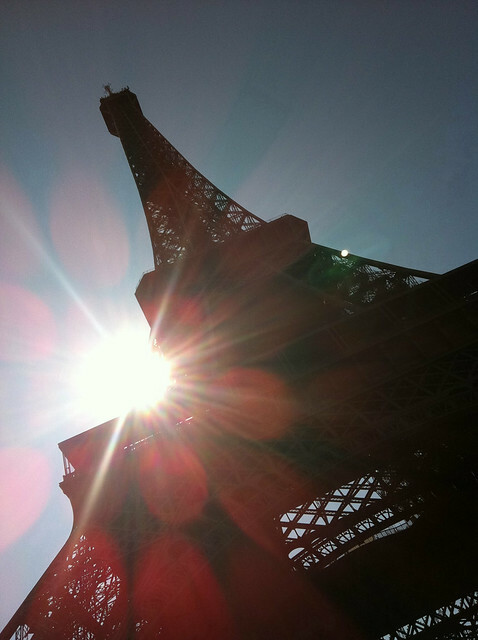 I’d have to spend a year in Paris, hundreds of Euros and thousands on dental care if I wanted to do that. So I’ve narrowed the sources down to four places: Ladurée, Pierre Hermé, La Grande Épicerie and La Maison du Chocolat. 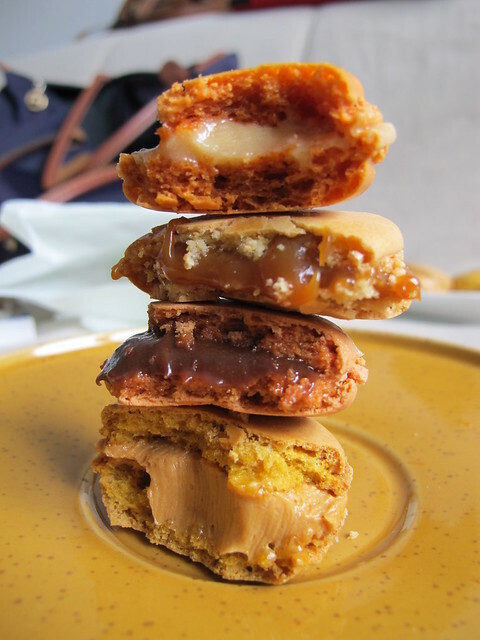 The last one wasn’t supposed to be in my original plan, but after sampling their macarons earlier this week, I realized it would be a travesty to not to give its caramel one a chance, hence the inclusion. Also, I didn’t buy and try every single flavor each place offered. To be able to compare them to one another, of course I had to pick the same flavors across the stores, so my choices skewed towards the staples: Pistachio, chocolate, etc. I also have ruled out certain flavors I didn’t like (PH’s Vanilla and Olive Oil) or knew didn’t stand a chance (La Maison’s chocolate) or wasn’t adventurous enough to try (anything flower-based, licorice, etc.). I bought them all the same day, all within about an hour of each other, so no one had a freshness advantage over the other. As you can see, I took all this very seriously. As I should, because we’re talking about roll-your-eyes-to-the-back-of-your-head-delicious here, people. And so, here goes. 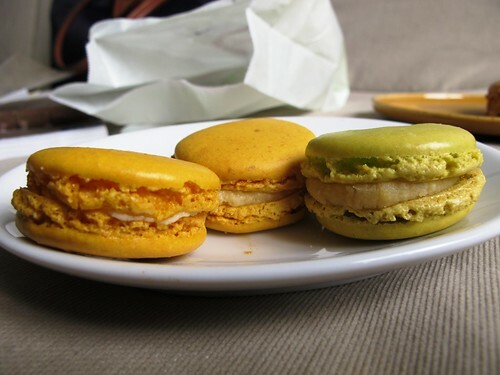 Part one of my search for the best macarons in Paris, where I tackle the flavors Pistachio, Lemon and Coffee. Right off the bat, I found Pierre Hermé’s too sweet. Too much vanilla, I think. If I tasted it with my eyes closed, not knowing what it was, I probably wouldn’t guess pistachio right away. So just like that, it’s down to Ladurée and LGE (that name is just too long). Ladurée’s macaron filling was light and fluffy and had the most aromatic, essence-of-Pistachio (sorry, I can’t find a better way of describing it) flavor among the three. 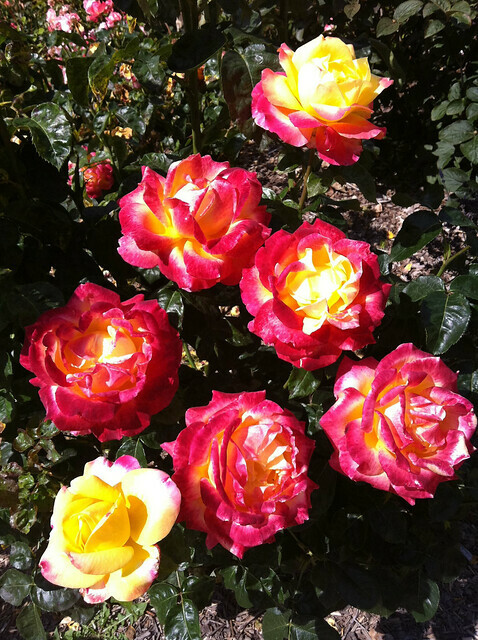 LGE’s, on the other hand, has a milder flavor, but is still very much Pistachio. Its filling is a little on the oily side though, which is never a good thing. Overall, though, I found the aftertaste of Ladurée’s a tiny bit too… pistacho-ey. I know that that’s probably the wrong thing to complain about, but it was just a smidgen too much for me. And so the winner of the Pistachio round is La Grande Épicerie. 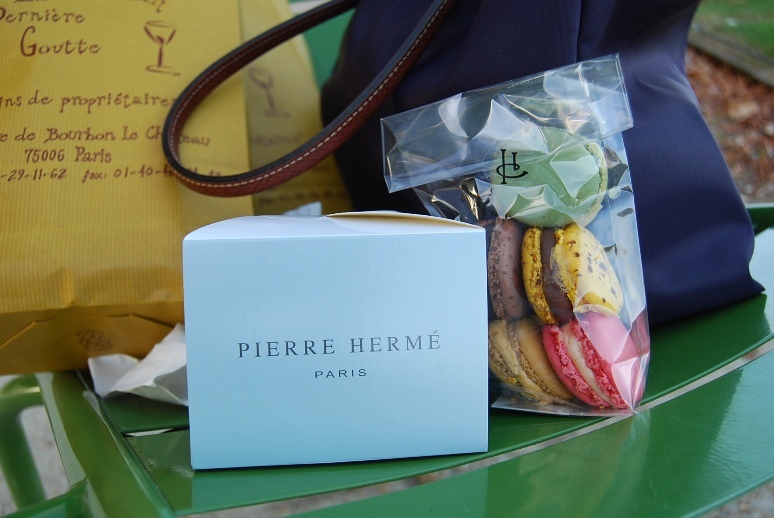 Knowing Pierre Hermé’s penchant for strong, bold flavors, his Citron macaron comes as a disappointment. 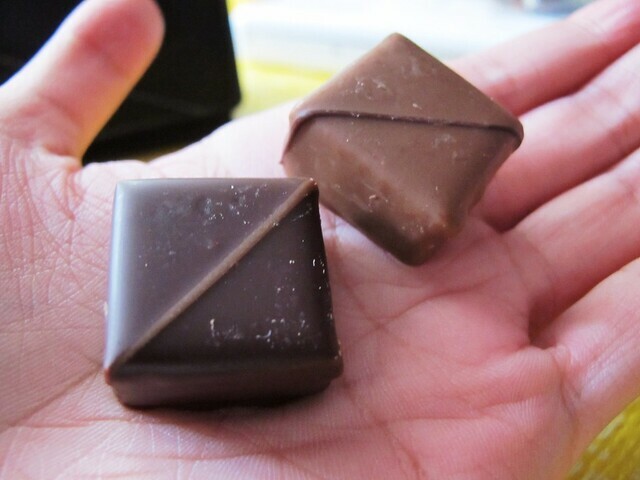 It’s relatively weak, compared to the hard-core lemony-ness of Ladurée and LGE’s. 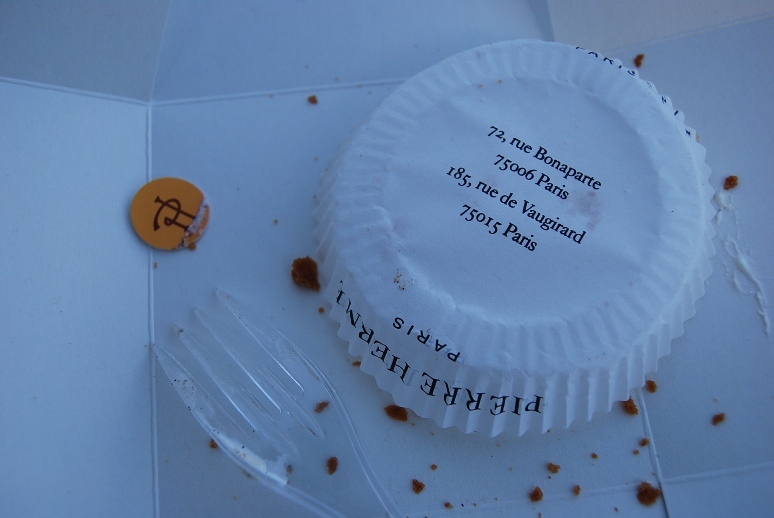 I honestly expected more from Mr. Hermé. 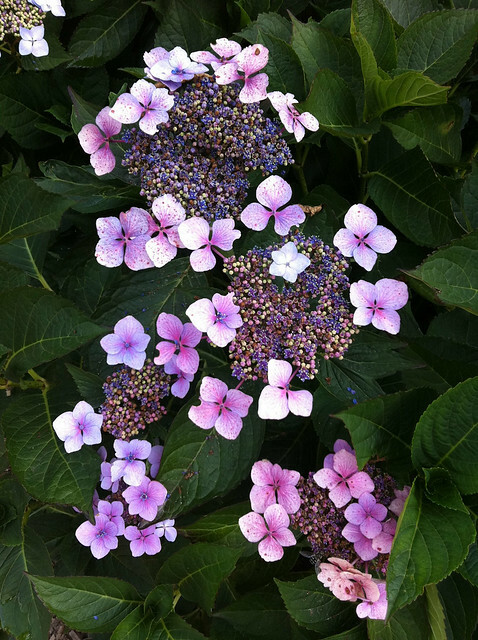 But enough about the disappointing ones, let’s get on to the two remaining contenders, shall we? LGE’s combination of our very own Kalamansi (actually, I didn’t ask if it was the same kind, but I’m assuming it is) and vanilla was surprisingly good. The vanilla doesn’t overwhelm the citrus flavor at all, the Kalamansi is still center stage with this one. I guess the vanilla was added in there to balance out the bitterness that Kalamansi can have sometimes. But for sheer concentration of tart, lemon-y goodness, I’d have to give it to Ladurée. Their lemon macaron is just that. Lemon. No frills, just pure and straightforward (almost over-the-top, even) LEMOOOON. And you can’t really ask for more than that in a lemon macaron. I’m a wuss when it comes to the flavor of actual coffee for drinking, but when it comes to coffee- flavored food (ice cream, cake, candy, etc.) the stronger, the better. And that is why this particular flavor was an easy one to decide on for me. 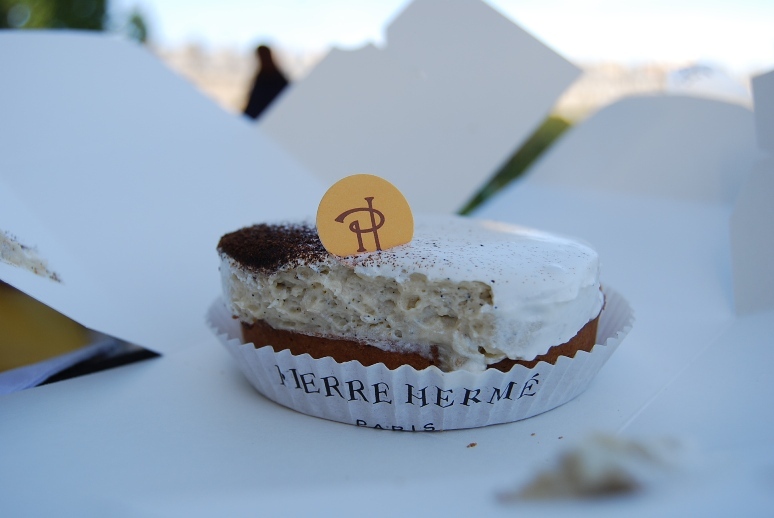 I just had to pick what was the strongest-tasting of them all: Pierre Hermé. The other two, particularly Ladurée, might as well have been made from instant coffee compared to PH’s. And so at the end of part one of my taste-off, La Grande Épicerie, Ladurée and Pierre Hermé all win one flavor each. 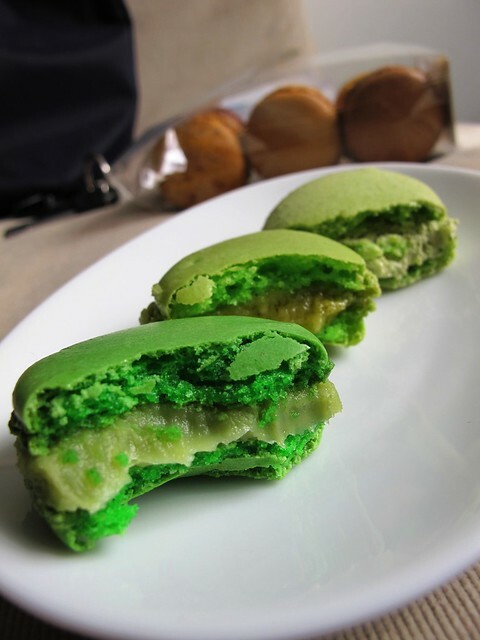 But lemon, pistachio and coffee are not the macaron flavors that will make or break a patisserie. 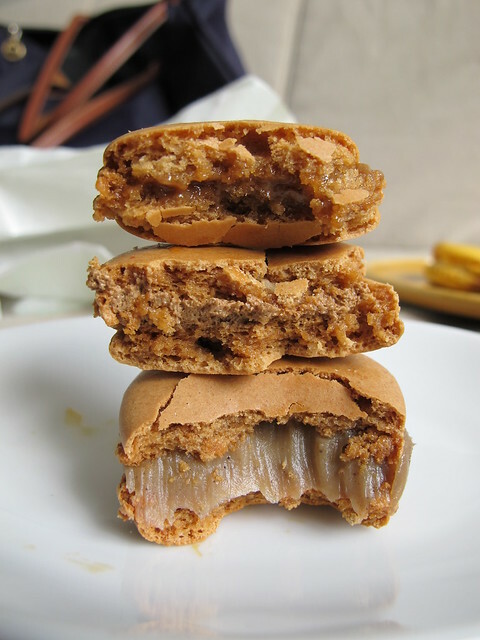 In my opinion, the measure of how good a macaron-maker a bakery is are its vanilla, chocolate and caramel macarons, all of which I’ll tackle in part two of my taste-off. In the meantime, whose other macarons should I have included in my very scientific and serious study? Let me know in the comments! If Laduree is the grand dame of the Parisian pastry scene, then Pierre Hermé would be the new bad boy on the block, the Marc Jacobs to Laduree’s Coco Chanel. Where Laduree’s tea salons have a rich, old-world feel, Pierre Hermé’s Rue de Vaugirard store has an almost hospital-feel to it, with immaculate, gleaming white surfaces. At PH, there’s a self-service Bread Talk-type section, while at Laduree even the pastry boxes are behind glass. Pierre Hermé’s approach to pastries could not be more different, but, boy, that doesn’t make the treats any less delicious. 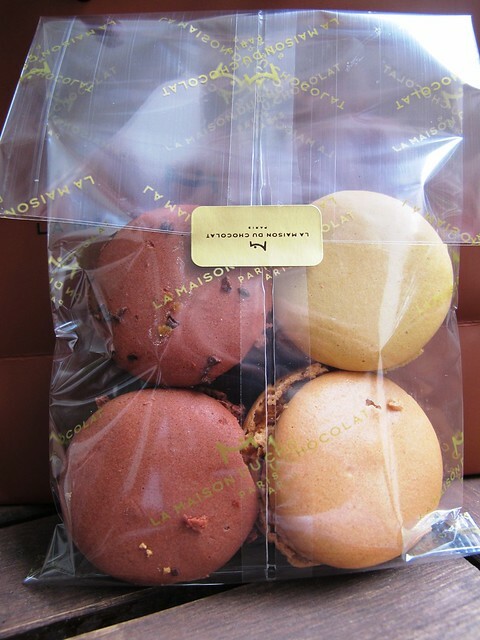 The famous Mogador, with the chocolate and passion fruit filling, is the standout I would buy by the dozen. Because I generally don’t care for passion fruit, I was skeptical when I read all the blogs saying this was the best flavor. But one bite into its spotted bright yellow cookie and I was a convert. I’m definitely buying more than one (Four? Six? A dozen?) 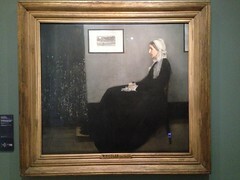 on my next visit. 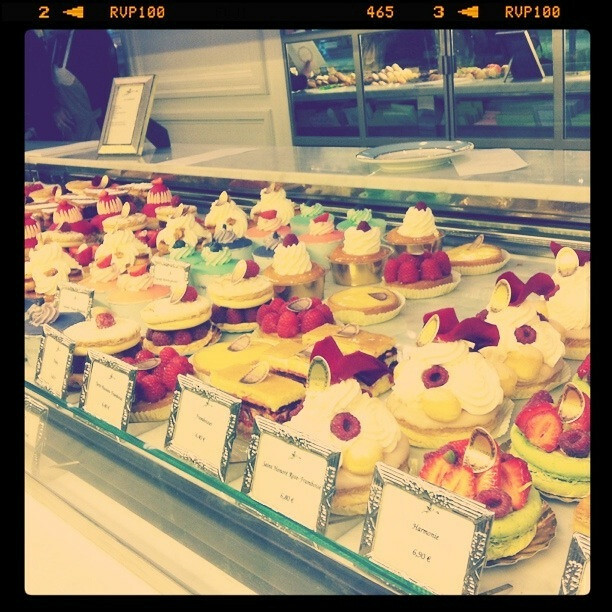 Despite the gorgeous Mogador, however, I have to say that I am a Laduree girl. I guess my palate is not sophisticated enough to appreciate olive oil and an actual olive in the middle of my vanilla macaron. So if I prefer Laduree, then why the heck am I even writing about Pierre Hermé? Because Monsieur Hermé is not just about the macarons. If having a vegetable (or is an olive a fruit?) 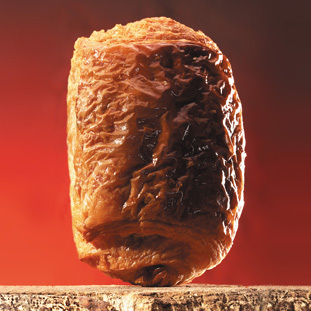 inside your dessert is not your thing, PH thankfully offers other veggie-free alternatives. One such alternative is the Tarte Ifiniment Vanille. Loosely translated: Infinitely Vanilla Tart. And when the French say “infinitely”, they sure mean it. You can actually see the teeny-tiny vanilla pod seeds in the filling. I’ve never seen this high a concentration of the seeds, Häagen-Dazs should be ashamed of what they call “vanilla” ice cream. Oh, and so the regrets begin. But while I am hitting myself on the head for not buying the other two tarts (my hips and waistline are thanking me, though), nothing, and I mean NOTHING can compare to my heartache for not getting to Rue de Vaugirard the first thing in the morning (dutiful daughter that I was, I was running around the city looking for a cellar to buy wine for my dad. Not an easy feat on a Sunday in Paris). No I wasn’t. What I was was heartbroken. 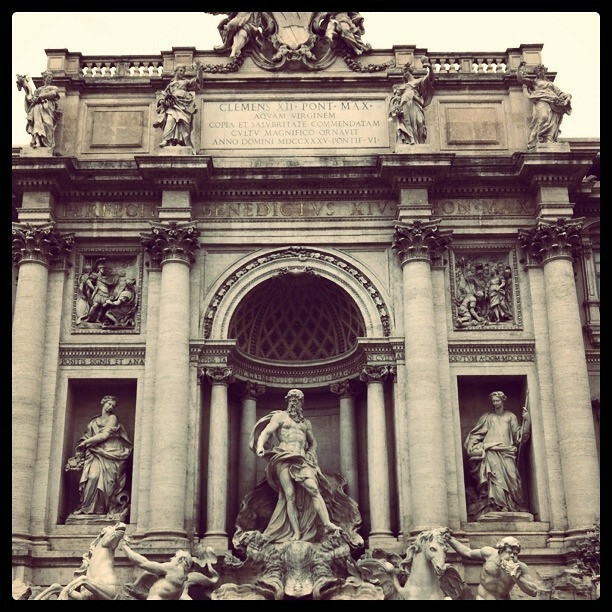 So, this is why I am going back. Paris may be the most beautiful and romantic city in the world, but it is the perfect combination of flour, butter and chocolate into a perfect little pocket of flaky heaven that is going to bring me back. And I’ll be there, 10 in the morning, opening time.